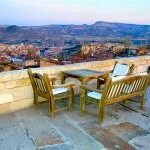 The Esbelli Evi Hotel is located in the region of Cappadocia in Turkey. This hotel is the first boutique hotel built in the area, and its ecofriendly approach integrates the building with the natural landscape. 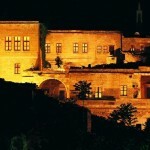 Part of this hotel was built taking in account the caves and other natural formations of the region. The doors and windows have been adapted to the rock formations, and the hotel’s natural staircase is the result of years of erosion. Like many of the local structures, the hotel was built with fairy chimneys which are considered one of the region’s top tourist attractions. The interior design of the hotel reflects the country’s cultural aspects, with thick red carpets covering the floor, Ottoman style furniture and lace curtains. The hotel has ten suites. 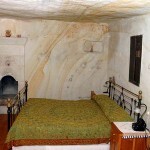 The rooms are all different because they were built following the outline of the rock’s natural structure. 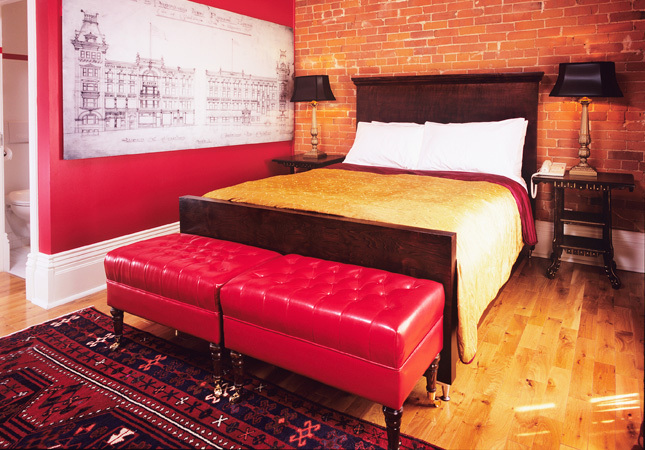 Each room has a double bed, a traditional regional décor and a bathroom. All the rooms have a flat screen television set with hundreds of channels from all over the world, and are equipped with CD and DVD players, a radio, climate control and kitchenettes and fridges. Guests will be able to enjoy free WiFi and will have free access to laptops. Each room is provided with complimentary bottles of water, reading material and free coffee and tea. Price varies depending on the suite and the season, and the minimum price is of 80€ per room per night. Some of the suites can be converted into connecting rooms to accommodate families travelling together. The connected suites can accommodate up to six people. These suites have a master bedroom with a bathroom and a living room with a kitchen and a terrace, while other suites can have two or three bedrooms with their corresponding bathrooms. The Fantasy Cave suite is the largest suite at the hotel and has a master bedroom and a separate living room with a sofa bed inside one of the caves. There is a kitchen and a bathroom with a claw foot bathtub and separate shower. 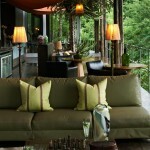 The suite has a private terrace and access to the common terrace. The Family Cave Suite can accommodate up to four people. There are two bathrooms near the entrance, and down a flight of steps guests will find the master bedroom, an extra bedroom with gilded ceilings, a living room with a kitchen and a private terrace. 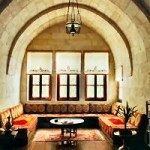 The Stonecutters suite is built to resemble a traditional Cappadocian villa. There is a master bedroom and a living room with a sofa bed, a bathroom with a separate bathtub and shower and a small garden with flowers. 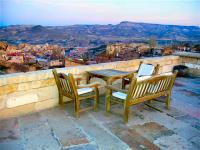 The suite has access towards a semiprivate terrace with views towards the region. The Twin Arch is a suite with a large bedroom with a bathroom and a living room with a guest bathroom. There is a kitchen with a terrace and a private garden. 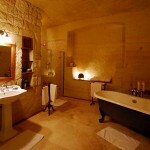 The Labyrinth suite is a stone suite. 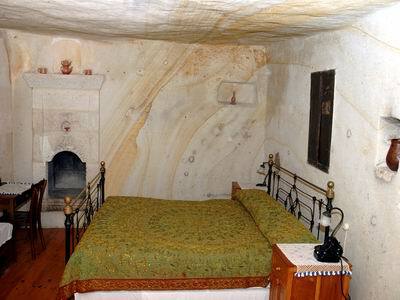 The master bedroom is a large cave with a bathroom adapted to the crevices in the rock. There is a guest bedroom with bathroom which is connected to the living room. The suite has several terraces. 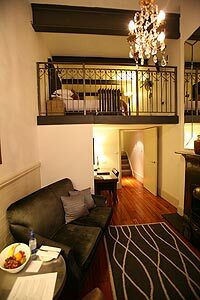 The Winepress suite is located above the ancient wine press. The master bedroom has a kingsize bed, and the guest bedroom has a double bed directly above the wine press. 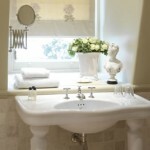 The bathroom is connected to the kitchen and the living room, from where guests can access the semiprivate terrace. The Volcano Stone Cave is a dark coloured suite since it is located near a layer of volcanic rock. Near the kitchen guests will find the bedroom with a domed ceiling, the living room and the bathroom. Behind one of the ancient doors there is a previously hidden tunnel. This tunnel is a XVIIth century, 16 kilometer long water tunnel inside the volcanic rock. The Colorband Cave is a colourful suite. The volcanic rock in tis suite is filled with minerals which create several colourful hues reflected in the bathroom, the bedroom and the living room. 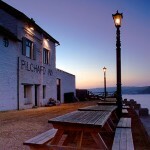 The Hillside Suite is located on one side of the hill where the hotel is located. 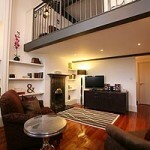 This suite has a bedroom with a bathroom and a living room with a private terrace and a private entrance. 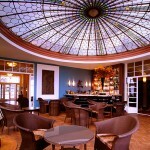 Guests who stay at the hotel will have access to the hotel’s cafeteria. The hotel provides guests with complimentary continental breakfasts made from local products. Other common areas include a home cinema room, an event hall with a piano, a Turkish hall and several terraces with views towards the natural structures formed centuries ago. The Color Hotel is located near the Garda Lake, in the city of Bardolino in Italy. In this hotel each space has its own colour and theme, and most windows have views towards the glistening waters of the lake. The main theme of this jovial hotel are colours, and each room and suite is decorated in a different hue. 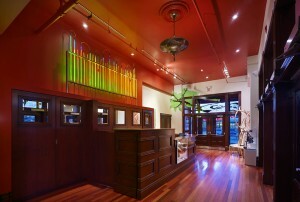 The common areas have been designed according to the principles of chromotherapy. According to this, blue hues help one sleep, yellow makes people happier and green is ideal for relax. The hotel has 91 rooms, each one of them painted in a different colour scheme. 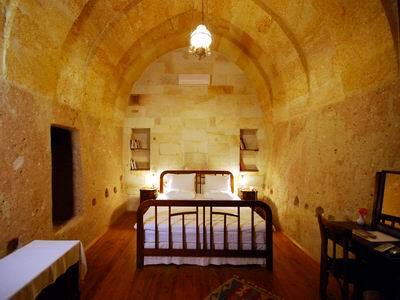 Price varies depending on the type of room and the season, and usually oscillates between 180 and 400€ per night. 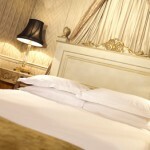 All rooms are double rooms with double beds and special orthopaedic mattresses, a modern bathroom and Italian furniture. Amongst other details, rooms have a television set, a safe, a minibar, local bathroom amenities and terry bathrobes for guests. The Iride rooms are the smallest rooms at the hotel and have standard basic amenities, and are most popular with young people. The Pastello rooms are slightly larger rooms decorated in smooth, pastel colours. 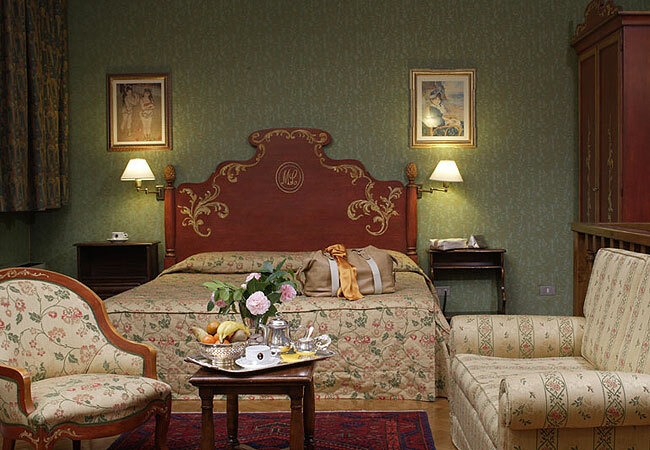 The Acquerello rooms are big rooms full of large, brightly coloured decorations and boast a balcony. 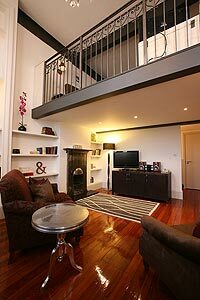 The Arcobaleno rooms are painted in flashy colours and have a large, colourful living room with a private balcony. 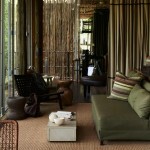 The Junior Suites are spacious rooms, each one decorated in a different colour. 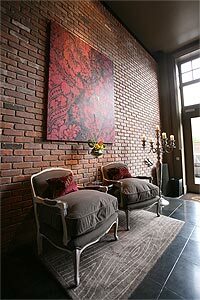 There is a living room with a balcony, a master bedroom with a kingsize bed and original artwork covering the walls. Several slightly different varieties of these suites exist, such as the Mosaic suites or the Spa suites, all of them following a set theme. 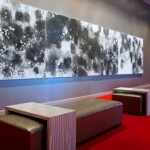 The Armonia Suites are larger suites full of art pieces. Each suite has a different colour and plenty of natural light in the living room and terrace. The master bedroom can either have a kingsize bed or two queensize beds. 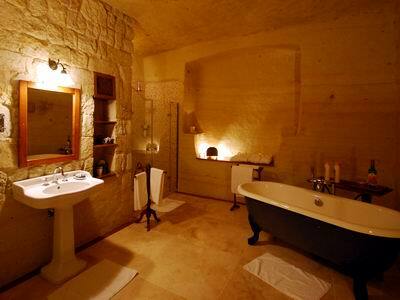 The bathroom holds a large jacuzzi and provides bathrobes for guests. The Perla Suites are a larger version of the Armonia suites, with two bedrooms and two bathrooms. 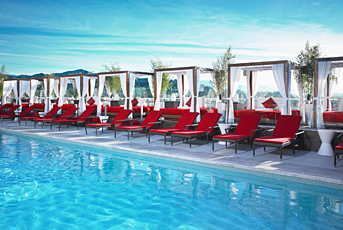 These suites have views towards the pool known as the Laguna, the hotel’s largest swimming pool. The Samsara suites are the most notable suites at the hotel, with an exquisite decoration with varying colours, shapes and even fragrances. 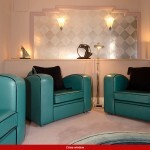 The suites have strangely shaped furniture and bright bursts of colour all around the rooms. The master bedroom has a round bed and there is a round jacuzzi in the bathroom, which has views towards the swimming pool and the gardens. There is a separate living room with a guest bathroom. This colourful hotel has an equally colourful restaurant, the Colour, where guests will be able to taste authentic Italian food accompanied by Bardolino wine. The restaurant has a different location depending on the time of day, allowing guests to enjoy a taste of Italy in the luxurious Aranciaia hall, on one of the terraces or in the barbecue area. Near the restaurant guests will be able to relax in the lounge decorated with hammocks. The hotel’s spacious gardens are full of fountains and sculptures. There is a separate Zen garden and a relaxing lounge. 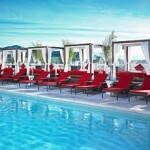 The hotel has three swimming pools with lounge chairs for the guests and an indoor swimming pool. 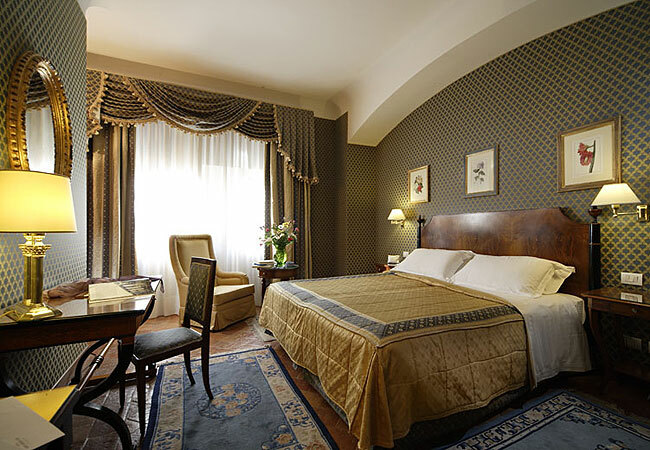 Located on the banks of Lake Garda, in an area filled with trees and open spaces, this hotel is only 5 minutes away from the historical centre of the city. Near the hotel stands Mount Baldo, and guests will be able to hik in the Lessini mountains. Guests can enjoy a sunny afternoon by the lake or rent a boat that will take them across the lake. 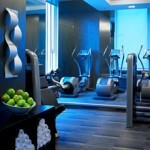 The hotel provides guests with umbrellas on rainy days, and limousines and bicycles are available for rent. 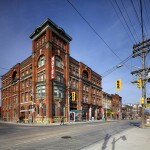 The Gladstone Hotel is located in Toronto, Ontario, Canada, and has been recently renovated. 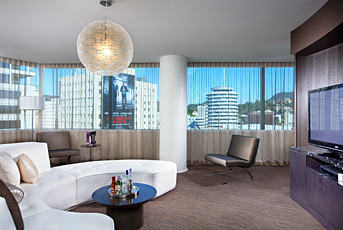 The hotel’s rooms have been redesigned in a unique style, and several common rooms offering different entertainment options have been set up. 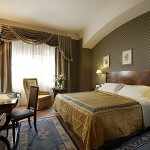 The hotel has several types of rooms, although it is quite difficult to find two rooms which look the same. All rooms are double rooms with a private bathroom, but they vary in terms of size, technology and decorations. There are flat screen television sets in the rooms, as well as a landline telephone, a safe, Internet, hypoallergenic pillows and quality bed linen. 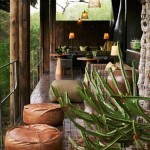 The rooms have high ceilings and polished wooden floors, as well as multifunctional windows. 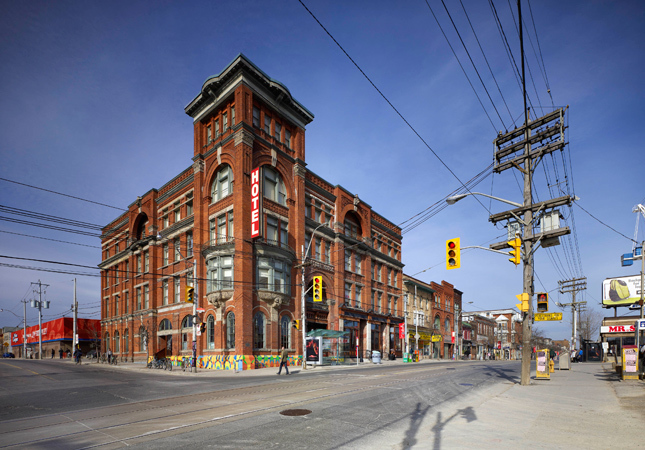 The hotel has more than 30 rooms and is located in an historic building that dates from the Victorian era, and has recently been transformed from an old house into a art hotel. 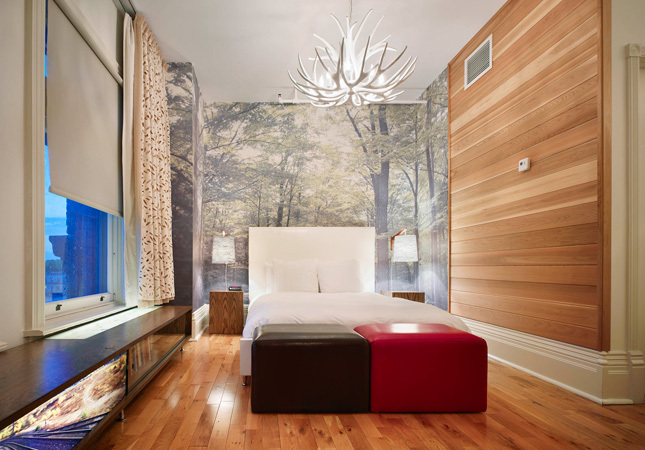 Each room was designed by a different group of visual artists, graphic artists, interior designers and architects. Each one of the unique rooms reflects the different points of view that different people have of Toronto, Canada’s most multicultural city. The 27 Classic rooms vary both in design and in size. All rooms have a small bathroom with a shower. Price per room is usually around 129.6€ per night. One of the most notable rooms is the Offside room, with brick walls and wooden beams on the ceiling and white furniture and decorations. The Puzzle room is larger, and is decorated as though it is an enormous, incomplete puzzle game, with decorations that include pictures and photographs of some of the most visited places and landmarks in Toronto. The six Gimme More rooms are more spacious rooms. 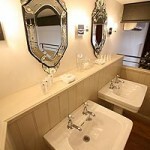 There is a bathtub in each bathroom as well as a kitchenette near the entrance. Price is usually around 153.1€ per night. Of these rooms, the Canadian room is the jewel, with a lot of space, wooden furniture and decorations, paintings and photographs representing the spirit of this country and its many forests and natural paysages. The Big Wood room is a modern study full of colour, wooden furnishings, a queensize bed and a jovial décor representing youthfulness and independence. 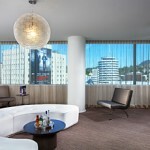 There are two large suites at the hotel, the Sweet Suites. 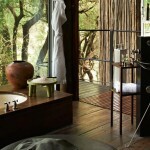 Each suites has its own style, although both have a master bedroom with a bathroom, a living room and a kitchen. 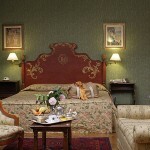 Price of the Best Suite is 294.55€ per night, while the Tower Suite costs around 373.10€ per night. The Best Suite is painted in pastel colours and has a simple, homey design. 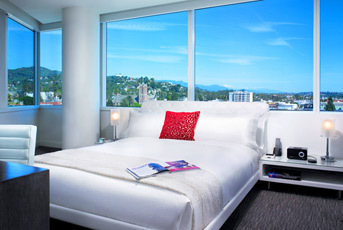 This suite has an enormous bathtub for two people and views towards the South and West of the city. 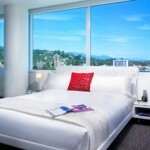 The Tower Suites is more impressive, with its two floors and views towards the city’s four cardinal points. On the first floor guests will find a bathroom, the kitchen, the living room and a separate dining room with arched windows. On the second floor, shaped like the top of a tower, stands the large master bedroom with another bathroom, and from there guests will enjoy 360 degree views of the city. 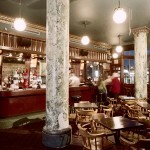 The hotel has two bars, the Gladstone Bar and the Melody Bar, both of which can be rented out for the celebration of large events. 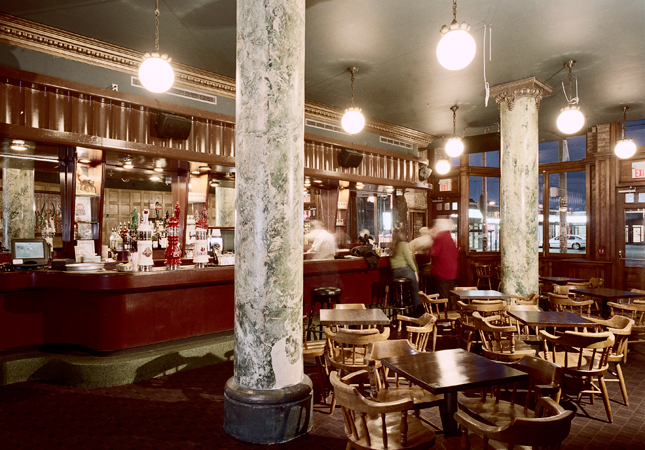 Both bars open six days a week, and each night different activities are organized. The Gladstone Café serves delicious traditional meals made from organic, fair trade, local agricultural ingredients. The Melody Bar is a place where both guests and locals will be able to enjoy delicious cocktails while listening to live music or a DJ, and karaoke nights are organized several times a week. 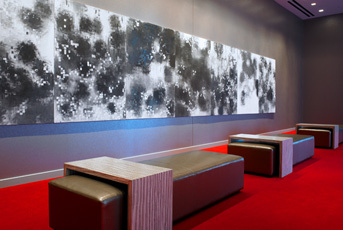 The lobby and the reception area have photocopying machines and faxes for the guests to use, and cars or limousines can be rented at the front desk. The hotel can organize business meetings in it conference halls. Some guest rooms are available for short term rent and a catering service is provided. 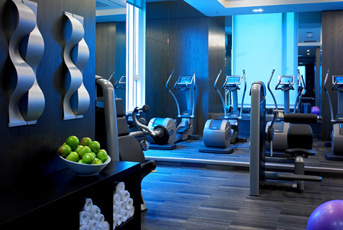 The first two floors of the hotel have several meeting rooms and conference halls. The total capacity of all the halls is 500 people. The different meeting rooms can be rented to guests who want to celebrate their meetings, seminars or other events and celebrations at the hotel. Several of the larger halls are rented out regularly to large companies hosting private events or art galleries, which means that guests will be able to enjoy an art exhibition during their stay. 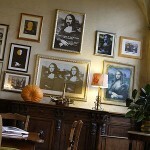 The Monna Lisa Hotel is a boutique hotel located in a historical XVIIth century castle in Florence, in Italy. 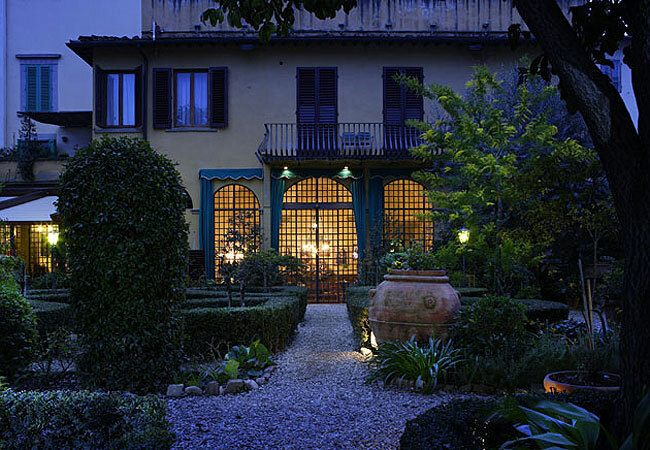 The hotel has a large territory and several flower gardens near the renaissance style building. 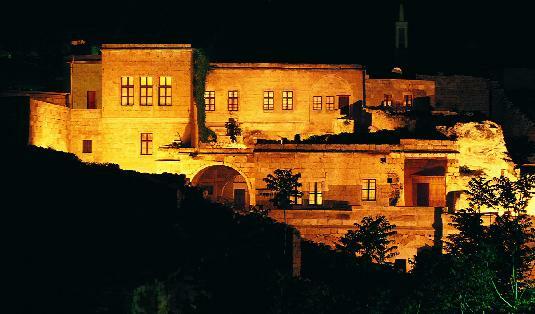 The hotel is located in a large building, parts of which date from the XIIIth century, back when it was a convent. 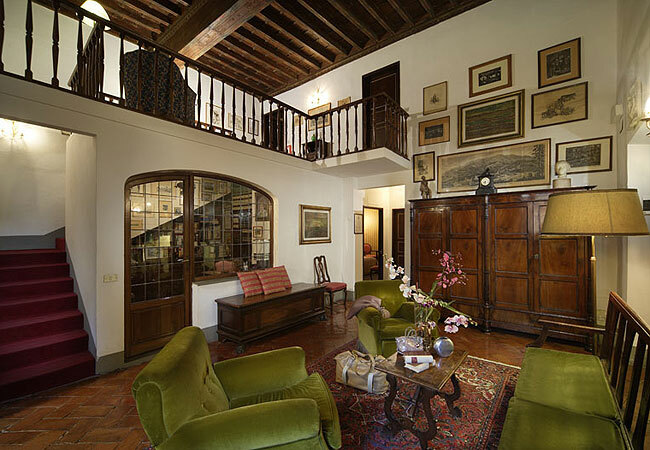 At the start of the XVIth century, the powerful Neri family bought the house, and many of the paintings which still cover the hotel’s walls belonged to members of the family. 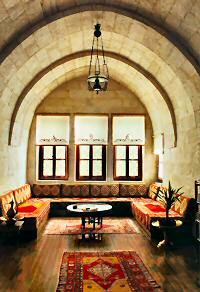 The hotel looks like a small palace of the Renaissance era, with XVIth century cotto floors and wooden ceilings. 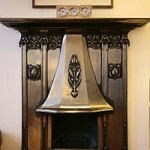 Some of the furniture dates back to the XVIth century. 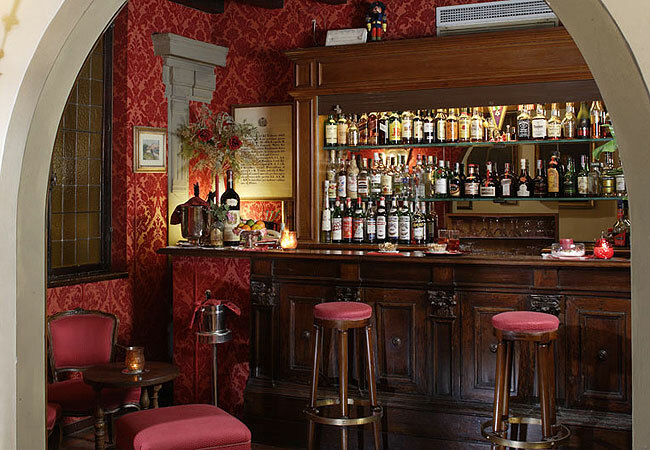 Some of the most well known art works are the portrait of San Filipo Neri, which hangs behind the bar, and the statues made by Giovanni Dupré, both of them prominent family members. This renaissance themed hotel has 45 double rooms with their own bathrooms. Some rooms have views towards the gardens and a private balcony. There are several different types of rooms and while some of the rooms are located in the main building, other rooms are located in the annex standing next to the gardens. 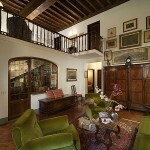 The decoration of each room reminds one of an antique, renaissance era dwelling. The hotel has several individual rooms, double rooms with a double bed, twin rooms, and even larger triple rooms for families or groups. These four types of rooms can be either standard rooms with less space and the basic amenities, or superior rooms, with more space, a jacuzzi in the bathroom and garden views. 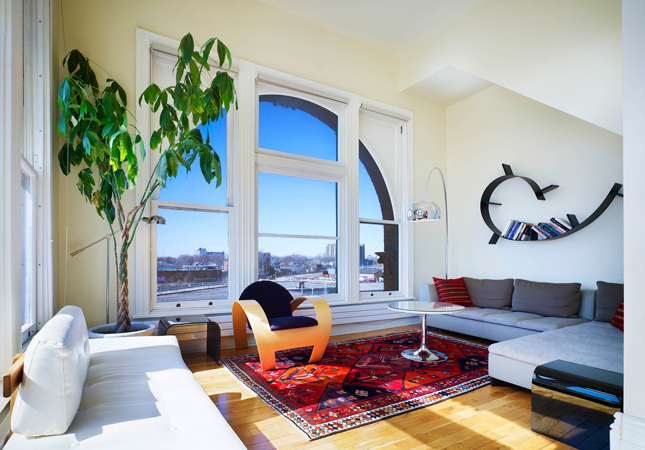 Some rooms can be interconnected, allowing guests to create quadruple rooms. 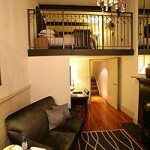 There are several suites and junior suites which have a spacious bedroom and a lounge area. The Junior Suites have a sofa bed in the living room, allowing an extra person to sleep in the suite. The Suites have a master bedroom and a bathroom in one area and an extra bedroom with a guest bathroom near the living room. Some of the rooms are adapted for people with disabilities. 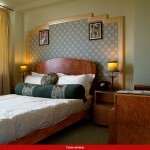 All rooms have an antique design, as well as modern elements such as safes, telephones and televisions. Each room has newspapers delivered every morning and an honour bar. 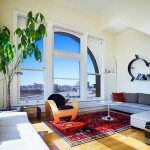 Price varies according to the type of room and the season. Average price per individual room is around 90€ per night, while the average price for a double room is slightly higher, at around 129€ per night. The superior rooms are more expensive, with prices starting at 159€ per night, and the triple rooms can cost a minimum of 199€ per room per night. 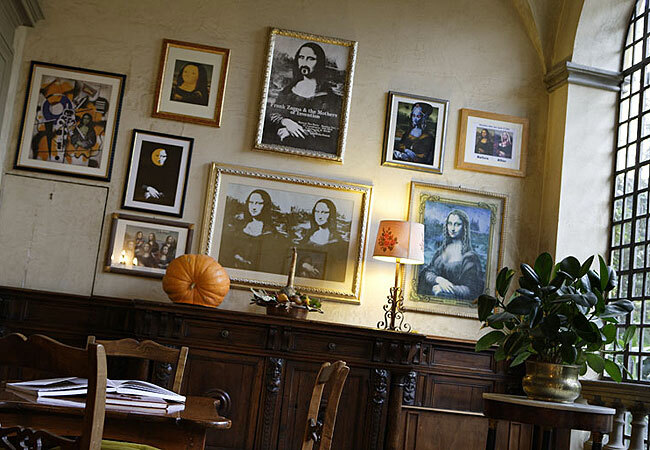 One of the hotel’s most notable features is its collection of different kinds of Mona Lisa paintings. Some of the best works include a Mona Lisa painted as Frank Zappa, and other humorous pieces such as a Mona Lisa before and after coming to the United States and undergoing cosmetic surgery. 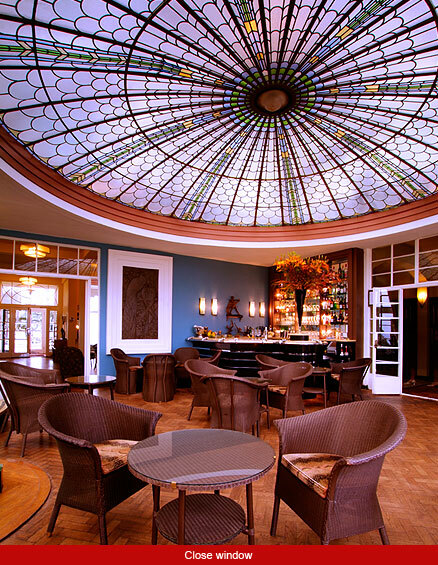 The hotel has its own bar right net to the breakfast hall, which boasts views towards the gardens. Even though the hotel does not have its own restaurant, guests will be able to enjoy a delicious continental breakfast, which is already included in the room rate, or a selection of sandwiches in the afternoon. The hotel has a large conference room. Next to the meetings hall stand the gym and the computer room with access to the Internet. 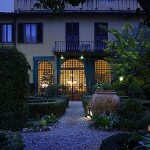 The hotel has a large territory full of green gardens and is comfortably located in the very heart of Florence. Only a few minutes away from the hotel guests will be able to visit the city’s most famous landmark, the Duomo. Nearby stands the famous Michelangelo Square, with views towards the river. Guests will be able to get a taste of the real Italian cuisine in one of the many restaurants crowding the main streets in the centre of the city. Other major historical and cultural landmarks include the Ponte Vecchio and the famous Uffizi Galleries. For those with time to spare, a day trip to the picturesque village of Fiesole is a must, for this place is renown for its traditional cuisine and its panoramic views towards the city of Florence. 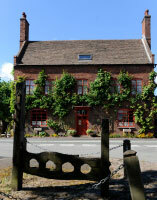 The Hundred House Hotel is located in Norton, in the United Kingdom. All the rooms at this hotel have a completely different design. The hotel organizes many events, including conferences, weddings or other celebrations, in its several restaurants and halls. The hotel used to be a Hundred House, the administrative body of the local Hundred, the name given to a subdivision of a county, that was the headquarters in charge of the law and order. Most of the building dates back from the XIV century, and the annex, which used to be a barn, dates from the XVII century. 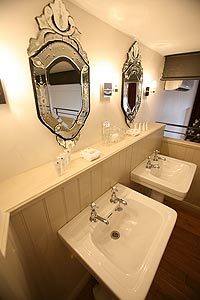 Each one of the ten rooms available at this hotel is a double room with a private bathroom and a unique décor. 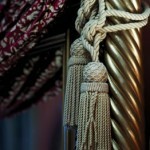 The rooms have canopy beds, and in one corner guests will find a velvet swing hanging from the ceiling. All rooms come with a television set, a landline telephone, Internet access, an alarm clock, an ironing board, climate control and coffee and tea making machines. The superior rooms are slightly larger and have a distinctive décor reminiscent of an aristocratic mansion centuries ago. 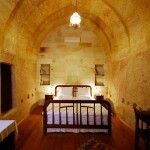 These rooms are furnished with hand carved wooden antiques and decorated with taste. 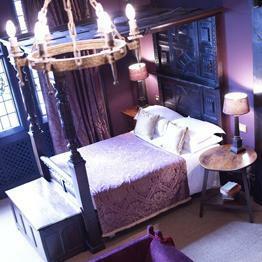 The rooms have canopy beds and special bedlinen with the faint smell of lavender, as well as antique furniture spread around the room. Several bouquets of aromatic herbs plucked from the garden hang from the beams. Each room is painted in a different colour, and all the curtains have a different pattern printed on them. An individual room costs around 66€ per night, while a double standard room costs 90€ per room per night, and the more spacious superior rooms cost 114€ per night. The family room has a double bed and two individual beds, and is priced at 132€ per night, accommodating up to four people. The Honeymoon suite has a similar price, 132€ per night. 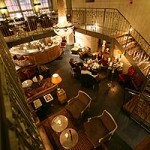 There are special offers for those guests who stay at the hotel on a Sunday night. One of the hotel’s main attractions are its gardens, which boast a collection of more than 100 types of herbs. These aromatic herbs are then used as ingredients for delicious meals at the hotel’s restaurant. 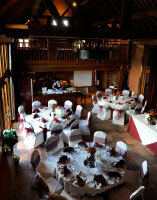 The hotel’s restaurant can cater for all kinds of large events and offers a great variety of menus. Almost all dishes are local dishes, and most of them include herbs and other species grown directly in the hotel’s several gardens. 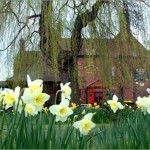 The Tithe Barn is the old barn structure, dating from the XVII Century. 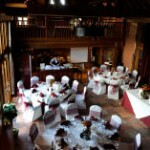 The barn has been recently remodelled and converted into a modern business centre. On the outside, the annex still looks like an old barn, while on the inside it is a large conference hall with air conditioning and plenty of audiovisual equipment for all kinds of meetings. The tables and chairs can be moved around, allowing for each client to choose the most comfortable seating arrangement for their meeting, and the hotel can provide a catering service. The Sylvia Phillips gardens belong to the hotel. For several decades, both her family and the hotel staff have looked after the gardens, redecorating them in a new fashion every season, creating a different nucleus full of multicoloured plants and rocks. 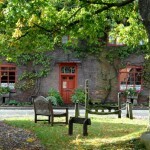 These gardens have many smaller flower gardens where guests will find roses, herbal plants and trees. Several decorative pagodas are strewn around the hotel’s territory, near the small water garden with its own waterfall and aquatic plants. A special area has been designated for picnics. The hotel organizes several cooking courses. Guests will be able to enjoy cooking lessons that will allow them to learn how to prepare regional dishes that they will then be able to take home. 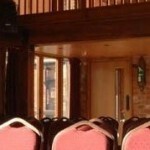 The hotel can organize all kinds of events, from informal birthday parties to more formal banquets. The hotel’s famed chefs and kitchen service provide catering for all types of dinners, and can prepare everything from a succulent open air barbecue to local dishes made from organic ingredients for a white tie event. 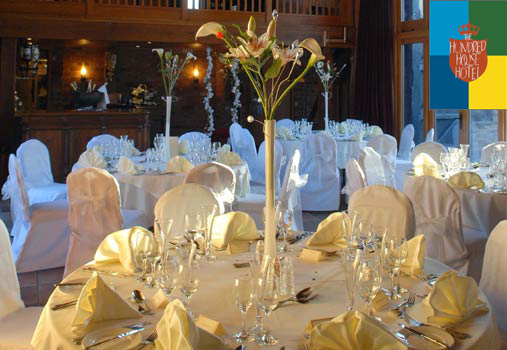 There are seven different types of menus which vary depending on the event. The hotel provides guests and visitors with a wide range of teas and coffees accompanied by hand made chocolate and trays of cheese and fruit. 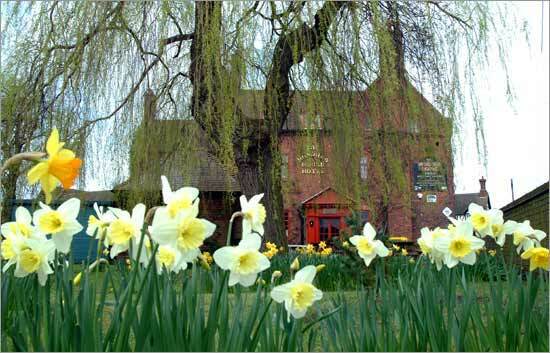 The hotel is located in a region full of small historical towns such as Ironbridge, Bridgnorth and Telford. 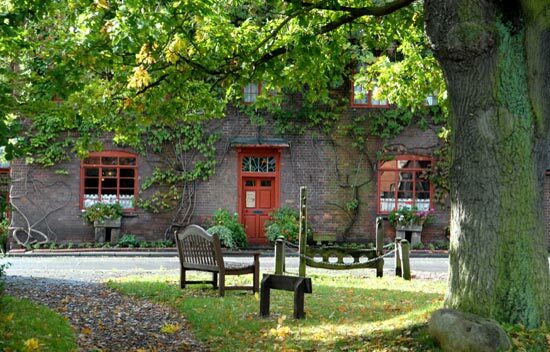 The hotel can organize tours for guests who would like to visit the neighbouring villages and their many cultural landmarks, including Ironbridge’s Gorge Museum and the Severn Valley Railway in Shropshire. Within a distance of several kilometres from the hotel guests will find places such as the XIIIth century Stokesay castle and Much Wenlock, a small town known for it’s central market which dates from the XVth century. 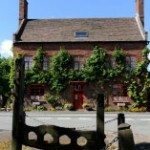 Guests will be able to see the unique coral formation of Wenlock Edge, visit the Ole Colehurst Manor that was built in 1580, or take long walks in Weston Park or the old town of Wroxeter. Burgh Island Hotel is located on Burgh Island, a small island off the coast of the United Kingdom. 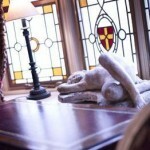 The hotel has a classical décor with a touch of aristocratic luxury and views towards the coast. The island has an area of only 10 acres and is located very close to the coast. For many years, the island only had a small population of fishermen and XIVth Century pirates. 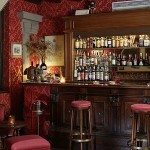 At the turn of the century, in the 1900’s, the island became a favourite haunt for the aristocracy of the time. Nowadays this grand Art Deco hotel built in 1929 organizes all sorts of events, such as weddings, conferences or any other kind of celebrations. The hotel has managed to keep its large classical ballroom where real ball still take place, just as it used to be at the turn of the last century. The island itself is near to the coast and has direct access to the coast only when the tide is low. Guests will be able to get to the island not only by traditional methods of transportation, such as train, car or ferry, but they will also be able to do so by helicopter. The hotel’s territory has vistas towards the sea coast, a relaxing views guests will be able to enjoy while having a cup of tea. There is a helicopter landing spot on the territory, as well as tennis and croquet courts and a small natural lagoon known as the Mermaid Pool. All the rooms at this hotel are double rooms with a bathroom. Several of the rooms don’t have a room number, and are instead called by the name of a celebrity who had previously stayed at the hotel and who somehow contributed to the region’s development. Each room has a different size, and no room is decorated in the same colour scheme or has a similar décor. Despite this, all rooms have a double bed with Beltramé bedlinen and marble bathrooms with huge towels and locally made bath amenities. The walls are covered in antique photographs depicting the region. 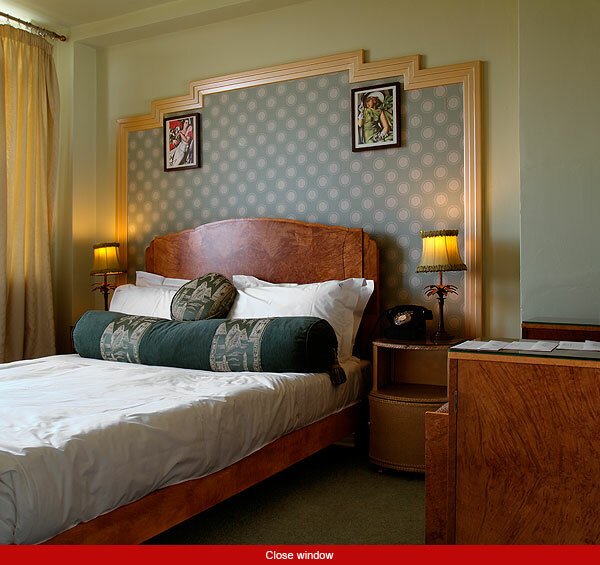 Most rooms have a turn of the century décor with elements such as old fashioned radios, light coloured wooden furniture and a complimentary tray of delicious chocolates. 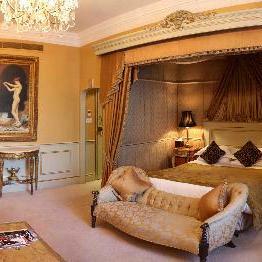 The Garden Suite is one of the best known rooms at the hotel. 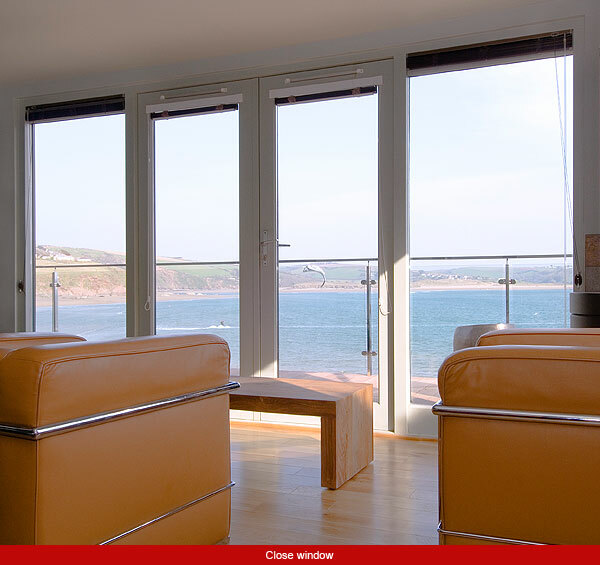 This spacious suite has large windows facing the garden as well as sea views which can be enjoyed from what is reputably the largest bed in the region. The marble bathroom is decorated in black and white tones, while the interior décor is full of pastel colours. The Beach House, built in 1930, stands directly on the beach. 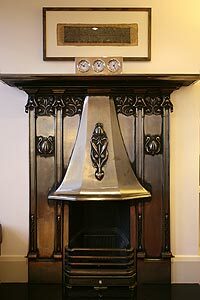 Many writers have expressed their liking of this particular accommodation, especially Agatha Christie, who wrote two of her most famous novels, Evil Under The Sun and Then There Were None, in this room. The rooms at the beach house have been recently renovated, and now boast a modern décor. The main room has a private terrace where guests will be able to enjoy dinner al fresco while listening to the songs of many birds who tend to frequent this place. 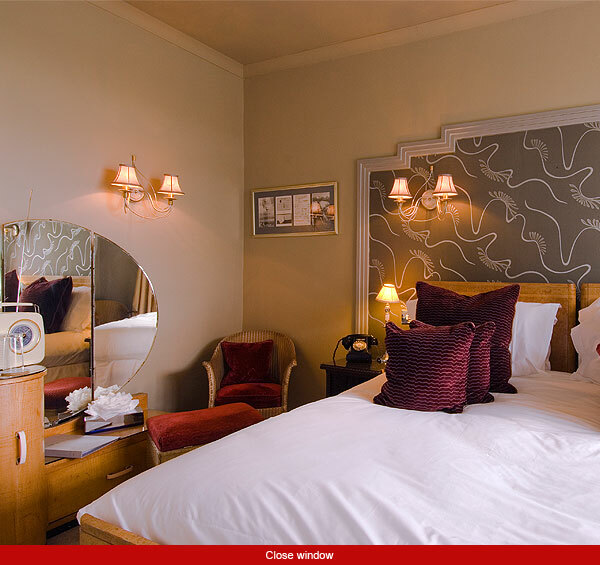 The large Mermaid bedroom has an enormous double bed with views towards the Mermaid Natural Rock Pool, a small lagoon filled with warm water standing on hotel grounds. One particular guest took such a liking to this room that she lived there for more than 20 years. The room is decorated in a palette of blues with curved wooden furniture. Other rooms notable for their stylish turn of the century décor and history are those rooms named after a celebrity. Some of the most visited rooms are those belonging to the famous racing motorist and motoring journalist Malcolm Campbell, the aviator Amy Johnson, the millionaire and tycoon W. O. Bentley or the noted vaudeville star Josephine Baker. The price per rooms changes once every year. Price depends on the type of room, although all prices include a hearty breakfast and dinner as well as all taxes. The smallest room is the Miss Dorothy Button room, full of jovial oriental decorations, which costs around 345€ per night, while the largest rooms at the hotel, such as the Garden Suite and Beach House, can cost up to around 739€ per night. The island is known for its quiet and peaceful location, ideal for celebrating all kinds of important events. 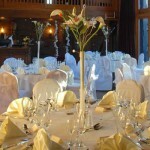 Celebrations such as weddings or large business conferences may take place in one of the hotel’s many halls or the restaurant. 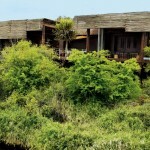 The hotel is also an ecologically friendly place, where almost anything is used so as not to damage the island’s ecosystem. 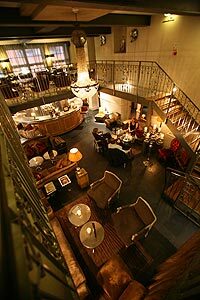 The hotel has a bar called the Peacock Bar, a place reminiscent of the Golden Age of Jazz music. Next to it there is a large ballroom. 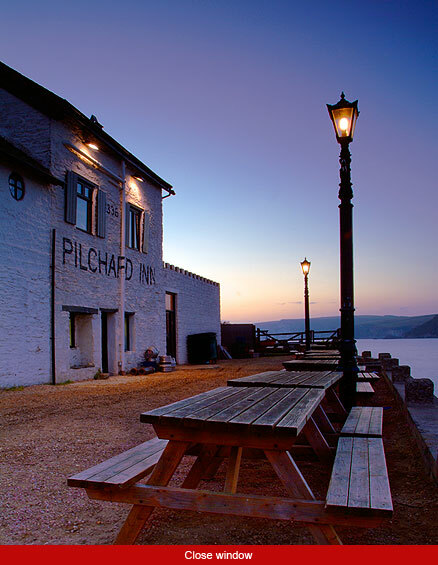 The nearby Pilchard Inn is a well known local bar. 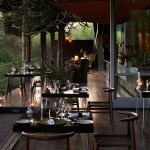 The hotel also has its own restaurant where guests will be able to enjoy a different menu everyday. Most of the ingredients used are from local farms and organic producers.